"What an amazing range of original plaster mouldings! If you're renovating this is the place...made to order by craftsmen." 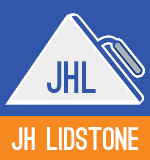 "Best plastering company in the country, top quality tradesmen who are dedicated to only leaving a high spec finish in every aspect, fair prices and top quality 100% reliable what more can I say from a very satisfied customer."